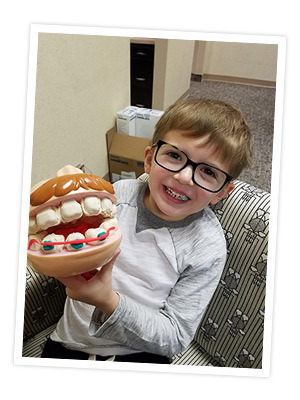 Children’s dental visits should always be a positive and fun experience! We love to show children going to the dentist is not a frightening experience. Our dentists and staff are trained to see infants, children, and teens- and it shows! Good oral health is an important part of total body health. Our goal is to help all children feel good about visiting the dentist and teach them how to care for their teeth. We encourage you to schedule your child’s first visit soon after his or her first birthday. Of course, we will see a child at any age should you notice a problem or have a question. This will not only identify problems early on but also ensures the first visit will be a positive one. The initial examination will include a detailed inspection of the mouth and jaws and a discussion of diet and fluoride. We will show you the best at-home techniques for good dental practices. With this input, we can lay the groundwork for a lifetime of good dental health.